My flights to Istanbul to join Windstar Cruises’ Star Pride (formerly the Seabourn Pride) were fine, but did remind me how much I dislike Frankfurt airport. My flight from Newark to Frankfurt was delayed because of weather resulting in my having only one hour to connect to my flight to Istanbul. Of course it was decided to disembark the 747 via buses about as far from the terminal as possible and then (and I kid you not) change the gate for my flight…which was about as far as humanly possible from where the bus dropped me…from Gate B26 to B20 to B46 to B32, so that we could take a bus to the aircraft which was literally next to where I was originally dropped off (A18). But, alas, I did make the flight. 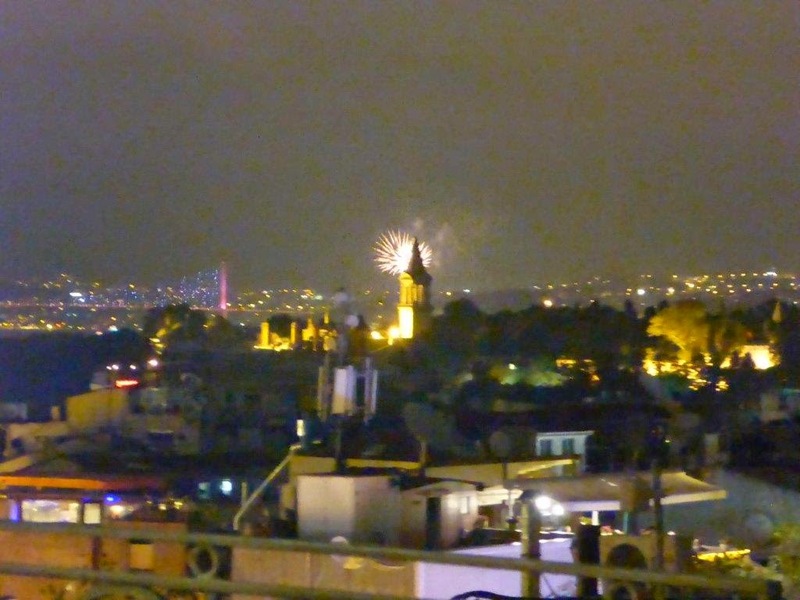 We stayed at Hotel Nena, which is a moderately priced hotel right in the heart of the Sultanahmet area. 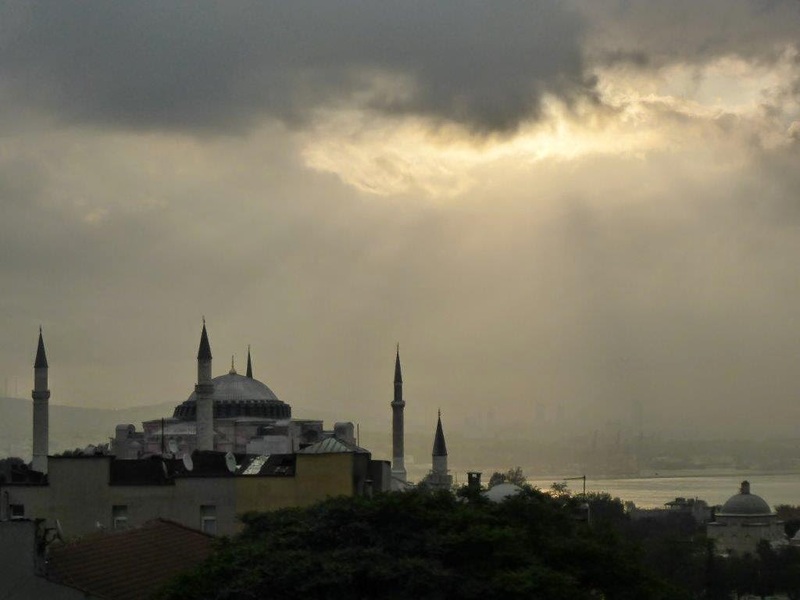 It is very comfortable with friendly staff and, if you have a Deluxe room, sweeping views of The Blue Mosque, Hagia Sofia and the Bosporus with a lovely balcony. 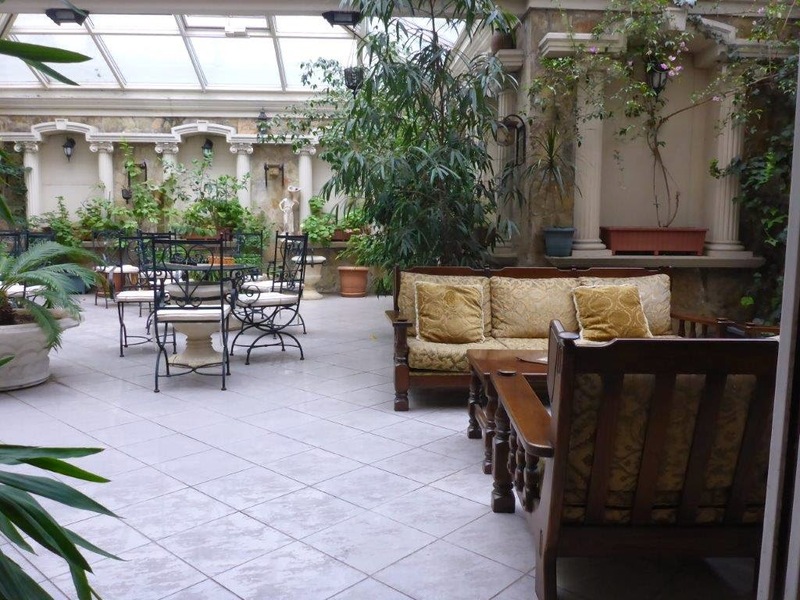 If you are staying in Istanbul for only a night or two and want to be smack in the middle of the tourist areas (you are also walking distance to Topaki Palace, Blue Mosque, Hagia Sofia, Yeribatan Saryari and the Hippodrome) it is a great price sensitive choice. Our included private transfer from Ataturk Airport (usually 30 Euros if you stay less than three nights) brought us to the hotel where we were brought to a light, airy, lounge for a glass of wine and an introduction to the area, providing us with maps and just enough brochures; a nice touch. After a short nap it was time to explore the area as the sun was setting on a Saturday night. To be sure this is a more touristic area, so right after The Grand Bazaar closes, the rest of the shops close and the busy streets quiet. It provides for a lovely stroll. We stopped for a Turkish coffee for a bit of energy and then wandered gazing at The Blue Mosque lit up at night and a bit of people watching. We stopped at the famous Pudding Shop for some kofte, borek, cicek and raki (flattened spiced lamb meatballs, goat cheese filled fried flaky pastries, yogurt with cucumber and dill along with a ouzo-like drink which you mix with water and ice). This was, of course, instead of what made The Pudding Shop famous in the 60’s: opium, poetry and travelers hooking up as they head off to, or were returning from, Asia. After a couple of raki back at the Hotel Nena it was time for bed as the hotel arranged a private guide for us the next morning. 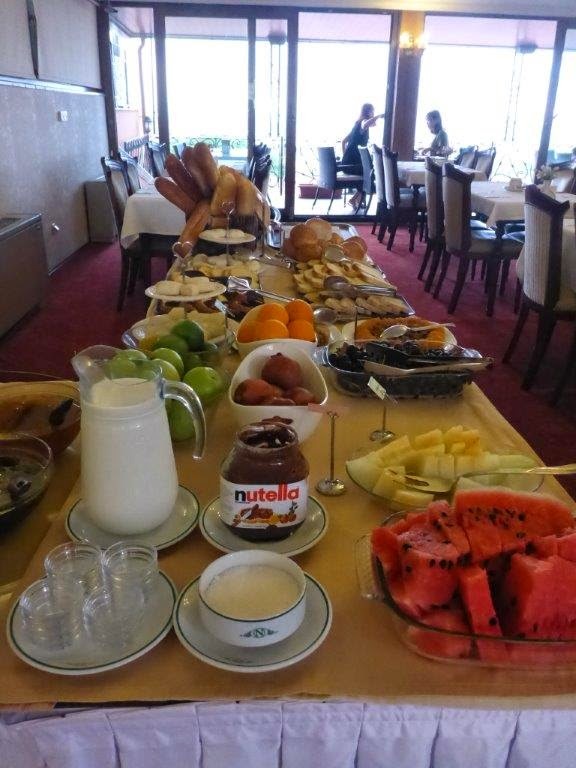 Our day started with a beautiful buffet breakfast (included at Hotel Nena) with a mixture of typical Turkish breakfast items and Western. 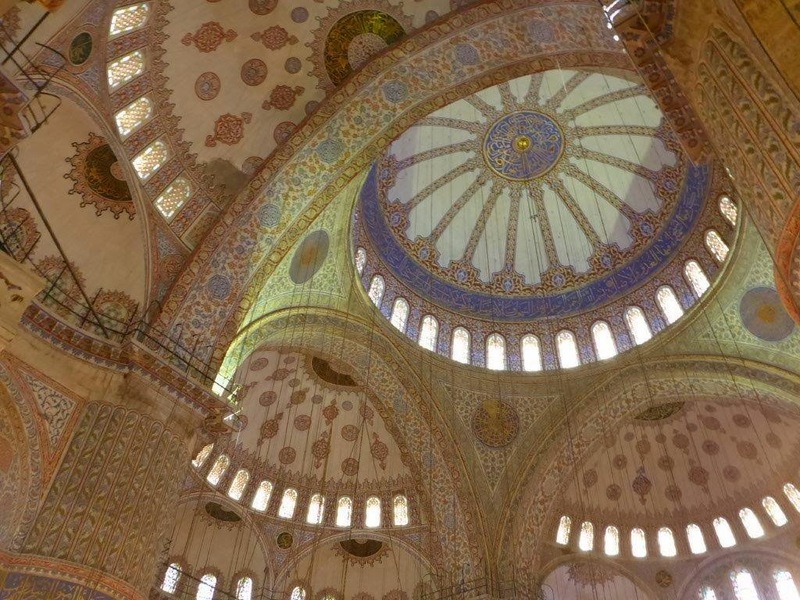 Our guided tour of Istanbul started at 9:00 a.m. and didn’t finish until 5:30 p.m. visiting (again) all of the main sites of Istanbul along with a lunch of various Turkish meze and Iskender kebobs and lamb shish. Then it was a stroll through the Egyptian (Spice) Market and then a ferry from near the Galata Bridge over to Uskudar on the Asian side – giving us a nice view of Dolmabache Palace – and then the brand new subway (Metro) which took us back to the Sultanahmet district. Our guide was OK, but confirmed to me that other than waiting in lines, visiting these sites with a good guide book can be just as, if not, more enjoyable. After a very short rest, it was time for a special dinner at the Ciragan Palace’s Tugra Restaurant where you can, if fortunate enough, dine on the same marble terrace as the last of the Turkish sultans. This is pretty much the only thing that I am doing on a luxury versus a premium basis. The Ottoman cuisine was exceptional and the ambiance was wonderful. After a stroll around the beautiful grounds it was back to our hotel for a nightcap and a chat on our balcony overlooking the Blue Mosque and Hagia Sofia. The next morning, before boarding the Windstar Star Pride, it was off to The Grand Bazaar. I love wandering the Old Bazaar as it still has a bit of the charm that the now more touristic newer areas have. Then it was off to the port. Our boarding of the Windstar Star Pride was swift and easy. Check-in was similar to when it was a Seabourn ship: Ushered to the Lounge where check-in was quick and friendly. Mimosas (really orange juice with a splash were offered as we walked in. The Lounge is now refreshed with a blue color theme and comfortable chairs. 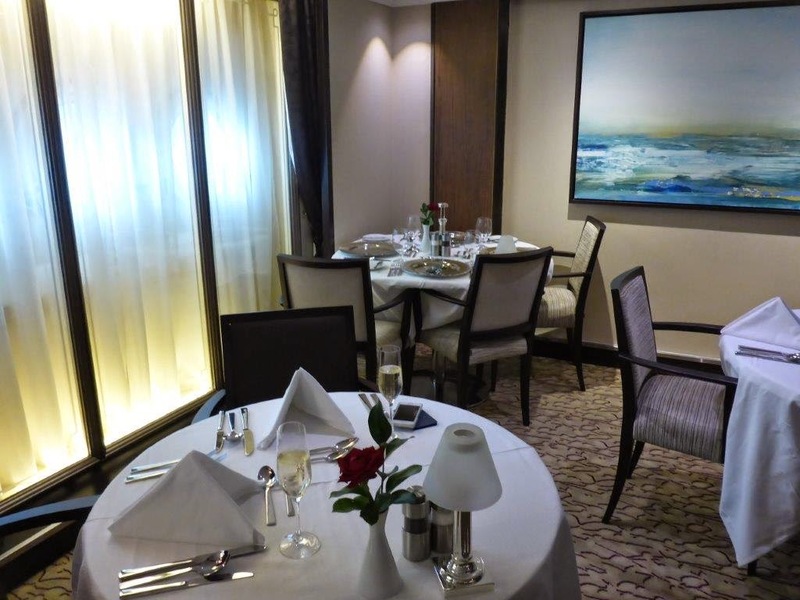 The Reception area remains as it was…which was recently renovated and updated by Seabourn. One thing I noticed on the way to our suite is the “artwork”. 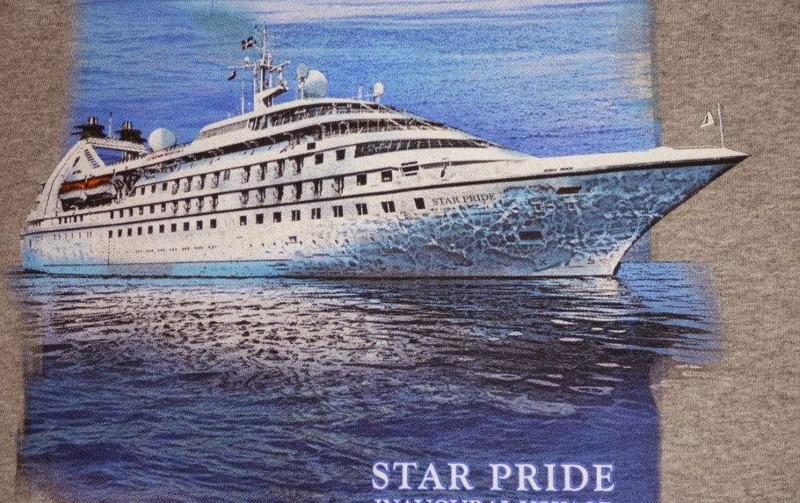 It is a matter of taste, but photos of tropical beaches just don’t seem to fit with the itineraries of the Star Pride or the overall elegance of this ship. The color palette in the suite is, again, blue with beige highlights and is quite pretty. Gone are the ottomans that fit under the coffee table, but the blue sofa is quite comfortable as are the two beige chairs with nice pillows. There are a few small changes, but most of them are not significant. - As we purchased the beverage package (required for both passengers in a suite), the refrigerator was stocked with one each of a variety of beers and soda, a mini-split of a modest white wine and cava. Next to the refrigerator is a rack with a variety of miniature liquors and a mini-split of red wine. (These are restocked as needed.) These would be extra cost if the beverage package was not chosen as in most other premium cruise lines. - L’Occitane quality bath amenities are provided, but gone is the fluffy rug and the thick towels; now being relegated to two thin bath towels and two thin hand towels. - As I mentioned on the Wind Surf, there is no filler piece when the beds are configured as a queen. This, frankly, drives me nuts. All in all it is a refreshed stateroom that works well and is extremely comfortable. We then headed down to Amphora (formerly The Restaurant) for lunch. Not much has changed other than lunch was a buffet. 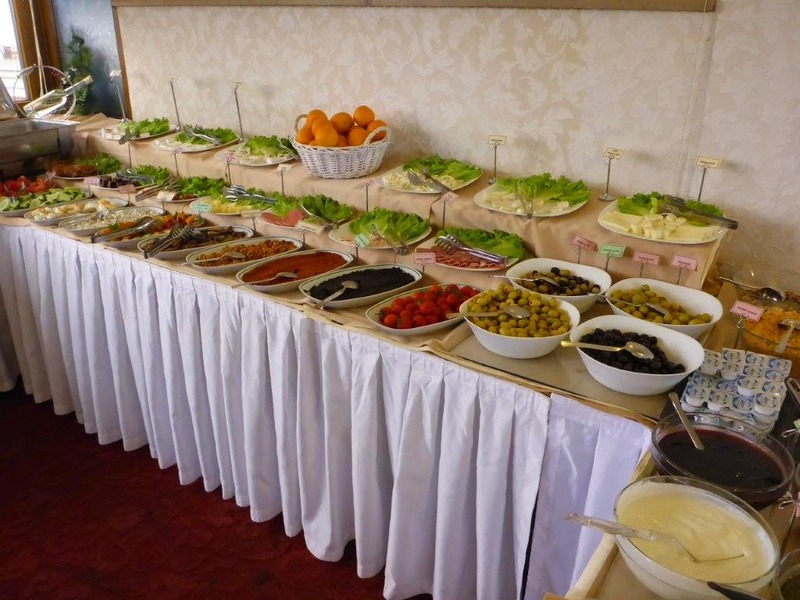 The buffet was a mix of various salads, cheeses, breads, cured meats, three hot dishes and a carving station. It was nicely presented and enjoyable. Bar stewards were quite attentive and, again, having the beverage package made things quite seamless. Now settled, it was time for a soak in “my” hot tub on the bow. The hot tub was fine and the deck furniture the same as when it was the Pride. What was not good was the lack of any towels. I did not expect any bar service, but once the Star Bar server knew we were there, bringing a refill was not an issue. After a shower – with a new showerhead – it was time for dinner in Amphora. The service is friendly and definitely premium, not luxury, as one can see how Seabourn would have three or even four people tending to your water, wine, silverware, ordering and presentation where now two are tasked with the same. One benefit: As Windstar places all of the silverware you might possibly need on the table before you sit and Seabourn would provide/take away silverware dependent on your course, the noise of the silverware drawers is all but absent. (I do miss the flare, but it is not a big issue.) The wait staff, however, is very friendly with a “can do” attitude. I figured I would order a challenging dish: prime rib and asked for it medium rare. It was perfect. (Meanwhile at the table behind me Windstar delivered it as ordered and the guests sent it back nonetheless. No problem. No issue. It was addressed politely, quickly and with a smile.) My water glass was filled regularly, but the wine glass was a bit of a challenge. Desserts were OK, but overall too mass market for me. We shall see how it goes…not that dessert selections are going to make my cruise choice! After dinner it was up to the Star Bar (formerly the Sky Bar). It is still a great space; now with its teak chairs covered with beige cushions and new upscale bar stools. One change: drinks are served in actual glasses unless you are taking them to the whirlpools, in which case Windstar also uses plastic. Service is friendly and while they asked me for my suite number, once they knew I had the beverage package it has been a very seamless experience. It was a very nice first day and the Pride remains one comfortable and elegant ship.